Anyways, if you weren’t knowledgeable about the ‘Pac biopic, or you were not hinted from all the Twitter posts about it, you know from here, it is happening. Directed by John Singleton (Poetic Justice, The Butler, Boyz N the Hood, and more) and executively-produced by Pac’s mother herself, Afeni Shakur, the currently untitled film about one of the most influential rappers is going into production this June. According to Collider, Randall Emmett, the film’s producer, has secured all the rights to Shakur’s catalog. In other words, you will hear A TON of Pac music in the film. As a side-note, have you heard all of the rumors about Nick Cannon portraying the role of Tupac in the film? That, my friends, is known as BULLSH*T. Why in the name of all-that-is-holy would they chose Nick Cannon to play a rap legend? He can barely rap himself. This is why he is hosting AGT and not rapping nor acting. Don’t think I dislike Cannon at all, he’s funny and all, but… No. He is not playing Tupac. If anyone should play Pac it should be Damario Brown. He’s (according to his Twitter bio) an actor, a model, and a film producer! 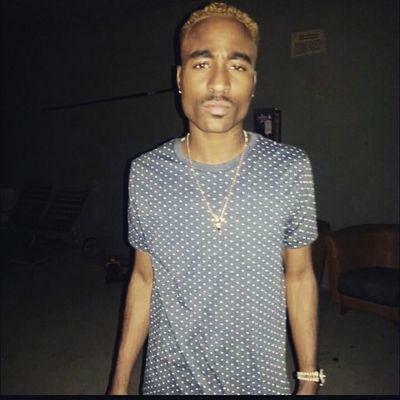 As a one-up, he looks SMACK LIKE TUPAC. Just an idea, Randall Emmet. Next Post NEW COLLECTION FROM DEMODE CLOTHING..?